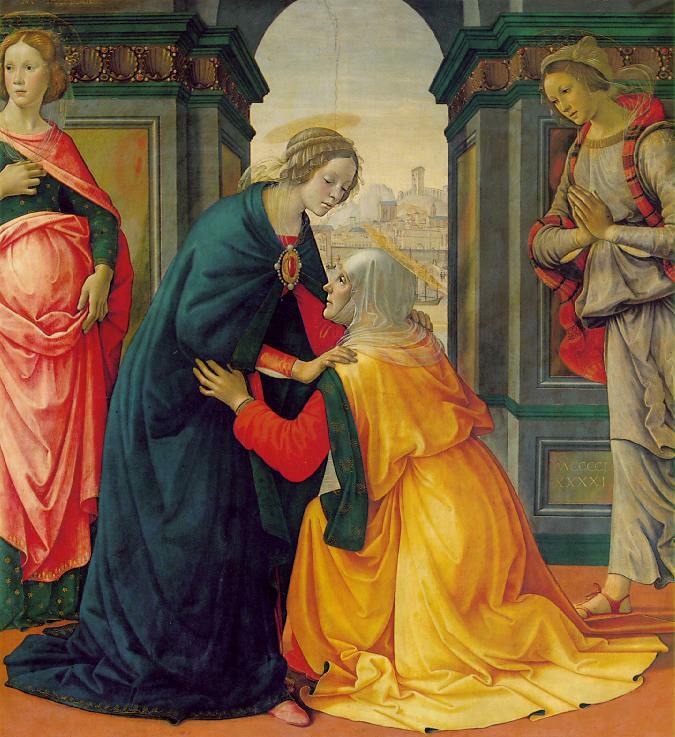 Today we celebrate at the close of the month of May the beautiful feast of the Visitation. Let the desire to share life, share love also be ours, that like Mary we may make haste to those in need of Gods presence and ours. Mary made haste to the hill country of Judah, meaning the mountains of Praise! That should be a sign for us to rise up to do well and to sing praise and thanksgiving to God. We are all called to be Christ bearers as Mary was, we conceive Christ through being open to his word and truth. We all have our own Magnificat to Sing, it maybe sung from the depths of our inner joy, it may also be sung from the depths of our suffering and pain…the Magnificat of faith is so pleasing unto God. 56Mary stayed with Elizabeth for three months and then went back to her own home. 46And Mary said: My soul doth magnify the Lord. 47And my spirit hath rejoiced in God my Savior. 48Because he hath regarded the humility of his handmaid; for behold from henceforth all generations shall call me blessed. 49Because he that is mighty, hath done great things to me; and holy is his name. 50And his mercy is from generation unto generations, to them that fear him. 51He hath showed might in his arm: he hath scattered the proud in the conceit of their heart. 52He hath put down the mighty from their seat, and hath exalted the humble. 55As he spoke to our fathers, to Abraham and to his seed for ever. 56And Mary abode with her about three months; and she returned to her own house.